Our guide to San Francisco will help you find the best breweries in San Francisco California. San Francisco makes it wonderfully easy to tap into the Good Life. Between the hot arts scene, the tempting boutiques, the awesome bay views, and all those stellar, locally focused restaurants and wine bars, it's the perfect place to indulge yourself. There are tons of great breweries in the city of San Francisco, our city guide will help you find the best breweries. You may have a hard time deciding what to do in San Francisco, but we make your decision easy. Dozens of breweries once plied their trade in San Francisco and the roots of the modern American craft brewing renaissance also run through the City. Today, San Francisco remains a vital part of the country's brewing culture. San Francisco's craft breweries are proud to combine the best ingredients and traditional brewing methods with modern ingenuity to create a fascinating, diverse and delicious array of truly local beers. 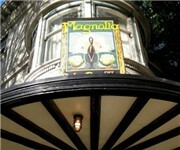 823 Clement St, (415) 386-6000 - Pizza Orgasmica & Brewing Co is a brewpub located in San Francisco CA. 1195 Evans Ave, (415) 642-3371 - San Francisco brewers of Prohibition Ale and Satchmo Stout. 1705 Mariposa St, (415) 863-8350 - Anchor Brewing Company is an American alcoholic beverage producer, operating a brewery and distillery on Potrero Hill in San Francisco, California. There are plenty more breweries in San Francisco. 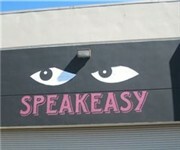 See all breweries in San Francisco California.